Monday, March 17, 2014, Philippine Society for Stem Cell Medicine (PSSCM) is accused of fraud by falsification of the papers endorsing their group. As a result the Securities and Exchange Commission (SEC) has revoked the corporate registration of a group promoting stem cell therapy. Professional Regulation Commission or PRC is already checking into this case of falsified documents of PSSCM. The PRC chairperson Teresita Manzala said that the Commission directed the PRBOM [Professional Regulatory Board of Medicine] to initiate the filing of a case against PSSCM. The case where; unprofessional, dishonorable and unethical conduct against the five incorporators motu proprio namely Leo Olarte, Bu Castro, Rey Melchor Santos, Oscar Tinio and Jose Asa Sabili. The case is now pending before the PRC Legal Division according to PRC Chairperson. This news was based on ABS-CBN news. Stem Cell therapy is one of the most latest medical treatment possible in most of all untreatable diseases on these days but said not yet proven effective and the research is still on going. This therapy is promising and the use of stem cells has also been a standard practice in the treatment of certain diseases like bone marrow transplantation which is routinely used for leukemia, Alzheimers disease, degenerative osteoarthritis, Parkinsonism, diabetes mellitus, stroke, and even cancer. 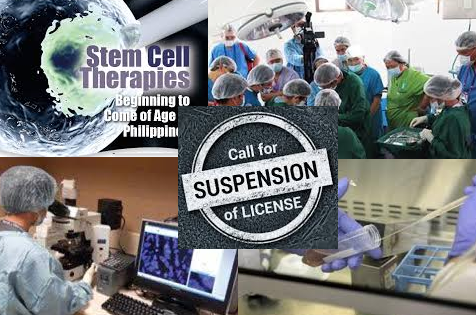 The Philippine Society for Stem Cell Medicine or in short PSSCM was formally launched in Philippines last January 15, 2013 but now facing the case due to alleged forge signature on their documents related to endorsing their group. Maybe stem cell therapy is the future most effective treatment or maybe it is not. Even though this treatment is expensive but people with not curable diseases take their chances and willing to pay the price despite knowing that the effect may not materialize. Is this the end of hope for them? Why they falsified the documents? Lets wait for the further details about this health related issues in our future blog post.